Jannis Stürtz aka Habibi Funk scours dusty vinyl stores from Morocco to Sudan for esoteric funk and rock & roll gems of the MENA region. At a time when DJs seek esoteric tracks to spice up their sets, some have gotten deep in that practice, cultivating a taste that won't be translated by many. 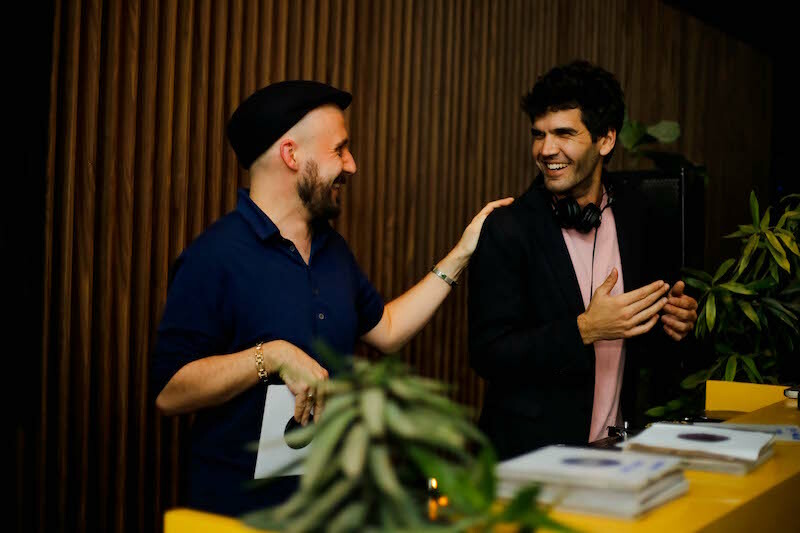 Jannis Stürtz, the German DJ behind "Habibi Funk" has developed a name around his work of acquiring rare singles and artists that shaped the sound of the '50s, '60s and '70s in the MENA region. 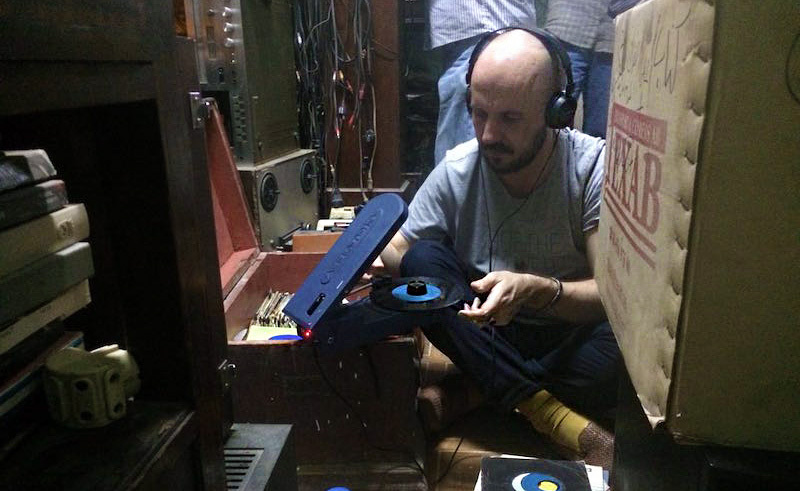 His trips take him to dusty stores from Morocco to Egypt, Lebanon to Sudan, on a mission to reinvigorate rare old vinyl records and tapes, reach out to the artists, and present these pieces to the world on his label, Habibi Funk. Going crate digging in Cairo with Stürtz, it became quickly apparent that it wasn't his first rodeo in the city that many consider to be the cultural heart of the Arab world. Record shop owners know him, and are familiar with the specificity with which he selects obscure rock & roll and funk inspired music from the Middle East, though it doesn't inhibit some of them from pushing Shadia Mansour and Oum Kulthoum on him anyway, an offer he dismisses with a decisiveness that shows he navigates this world with regularity and precision. Armed with a portable turntable, Stürtz wastes literally no time, flying through hundreds of 45-inch vinyl in a matter of no time, operating with effectiveness and logic- he tells me that he tends to know within 15 seconds whether a record holds the aesthetic he is looking for. According to Stürtz, 45s tend to be where the more obscure songs are to be found, and because he can't read Arabic, he has developed other methods to streamline his treasure hunting operation; a familiarity with label names and styles of artwork that have proved rewarding in the past. After a day that took us from the dusty and crowded Friday Market, to the more tranquil but stocked stores of Zamalek's Metro Towers, Habibi Funk lit up Mantis with one of the electrifying sets that have earned him his name, despite a malfunctioning turntable. We caught up with him ahead of this set, to get to the bottom of his passion for this way of life. Follow Habibi Funk on SoundCloud and Facebook. Follow Habibi Funk records on Bandcamp. Follow Jakarta Records on Bandcamp and SoundCloud.